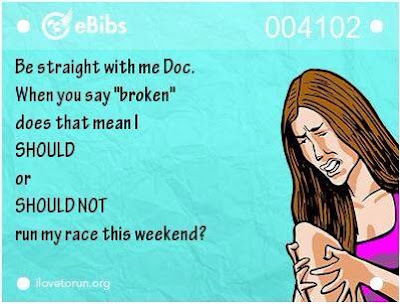 As my first race of the season approaches, I can't help but be filled with excitement, anticipation, and nerves. While I'm only doing a swim-bike, and skipping the run, I'm still approaching this as any other race. It is an opportunity to have FUN, demonstrate my fitness, compete, and push myself. Sharing the experience with friends this weekend will make it all the better! This weekend is not just the 5150, but also the Half Ironman, at Tremblant and I have dozens of friends and teammates joining me. Plus, I will be virtually cheering on my mom, who is doing her very first triathlon on Saturday!! One of the biggest lessons that triathlon has taught me, and that my current injury is reinforcing, is that triathlon is for fun, first and foremost. If I'm not having fun, then I might as well quit the sport. I've discussed this many times before on this blog, but I want to talk about it a little bit more. At first being injured sucked. It came with a lot of question marks, unknowns, waiting, and anxiety. Did I have a stress fracture? Maybe. X-ray said nothing. So then I had a bone scan, and viola, it showed irregularity and weakness in the distal fibula (aka a stress fracture). So, it's been confirmed (as of this morning...). It's been almost 3 weeks since my last run and I've been told to come back in 2-3 weeks to see the doc. And I don't know what caused my stress fracture. Needless to say, I've done a lot of Googling over the past few weeks. And I've obsessed over calendars and how many days I have until my races compared to when I stopped running, compared to how long it takes to get back into running. So, I've also done a lot of pulling myself from a dark place in my mind. 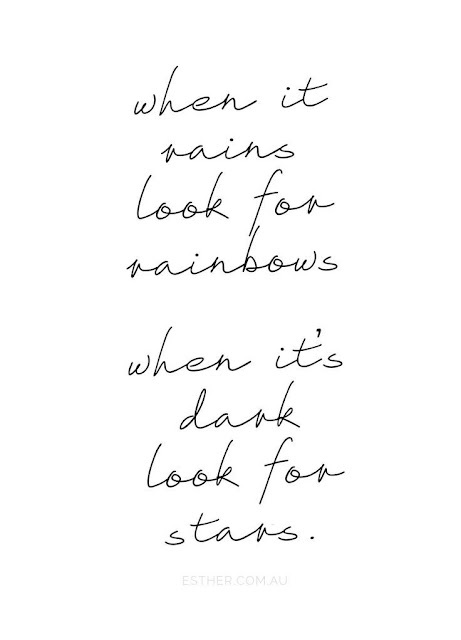 While it has been difficult, keeping a positive attitude has been key these past few weeks. I haven't always succeeded, but I've been trying my best. I've been looking for the good wherever I can. For example, I've been pumped about biking and swimming. I can still do those things, which means I'm not losing any fitness and I'm strengthening my weakest discipline (cycling). And I've had some opportunities for fun in my training over the past few weeks (transition practice, cat-and-mouse intervals, etc.). Time is flying and I know that I will be back to running before I know it. So in the meantime, I'm going to enjoy the swim-bike life as much as possible. And I'm not going to worry about my running or my calendar, because worrying doesn't get us anywhere. Finally, triathlon is a really rewarding sport and I've always said that what makes it most rewarding is the amazing people. I'm lucky to have some great friends who've been super supportive during the past few weeks. And I'm so freaking excited for all of them to race this weekend, because I know they have all worked super hard and I know they will all crush their races. I love the rush and atmosphere of a race whether I'm racing or spectating, and seeing the success of others is always inspiring!! This post from Life with No Limits Coaching on being empowered through injury helped a lot. So did this post from professional triathlete Linsey Corbin. I know this was not the news you wanted to hear. Since it is 2 to 3 weeks before you see the doctor, did they give you any interim advice? How does this heal and what is the time frame? I know you must have a million questions yourself! Keep up the great attitude because negativity is no fun! I am so sorry to hear this, Kelsey. You seem to have a really good attitude about everything. With any injury, setback, or obstacle, you can either let it define you or you can define it. Glad to see you are still moving forward doing the things you can do. I thought about you on Wednesday when I was swimming laps in the lane next to where Linsey Corbin was aqua jogging. Although she is not running right now, she is keeping her head up and still doing what she can to continue training. It sounds like you are in very similar situations. Have you ever tried water jogging?